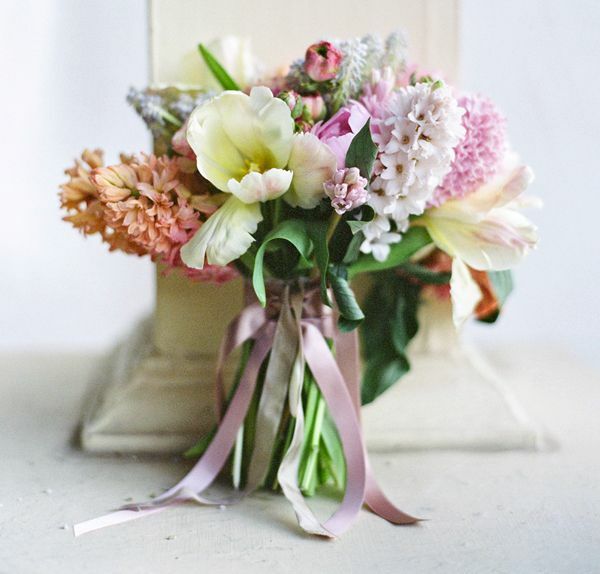 It's a beautiful spring day! This past week I've barely blogged because I've been working away at a mid week, 2 day wedding down in Somerset which was brilliant. I'm still getting to grips with this regular blogging malarkey and hoping that come the summer I'll have worked out a regular blogging schedule for Pretty Thrifty with a more structured approach to subject matter. 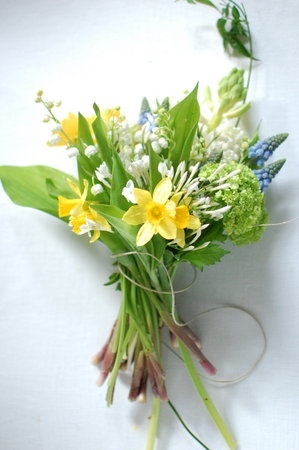 Daffodils, Lily of the Valley, Grape Hyacinths and Jasmine: gorgeous! 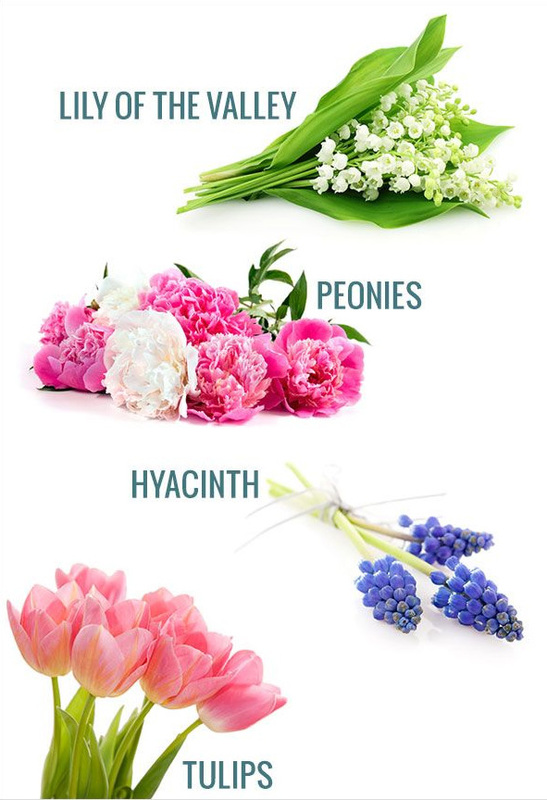 These are just a few of my favourite spring flowers and now we've hit spring I'll be doing a monthly guide of what flowers are out in bloom and available from your garden or as wildflowers to pick for your wedding. I'll be covering picking etiquette too as we don't want our beautiful countryside to become picked bare! 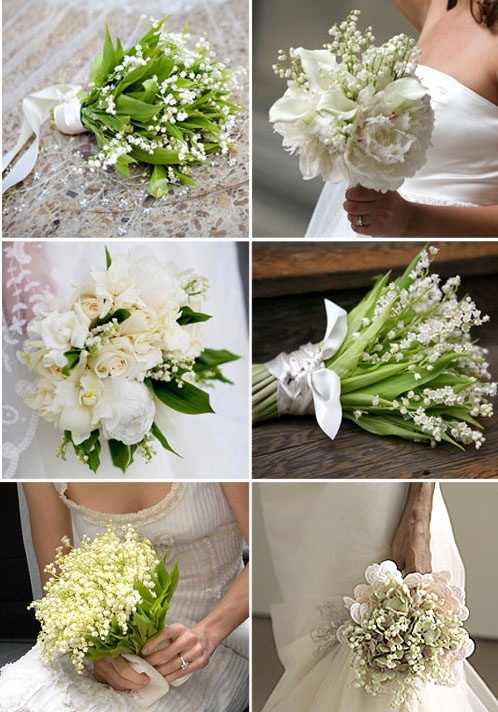 I'd love to hear from you if you grew your own flowers for your wedding or if you went down the wildflower route!